Preheat oven to 350 degrees F (175 degrees C). Grease and flour a 15 x 10 inch sheet pan. Mix together cake mix, butter or margarine, and 1 egg. Press mixture into pan. In a small bowl, mix together cream cheese, 2 eggs, and confectioners' sugar. Pour mixture on top of cake mixture. Bake for 15 minutes. Reduce temperature to 300 degrees F (150 degrees C), and bake for 30 to 35 minutes. Cool, and cut into squares. 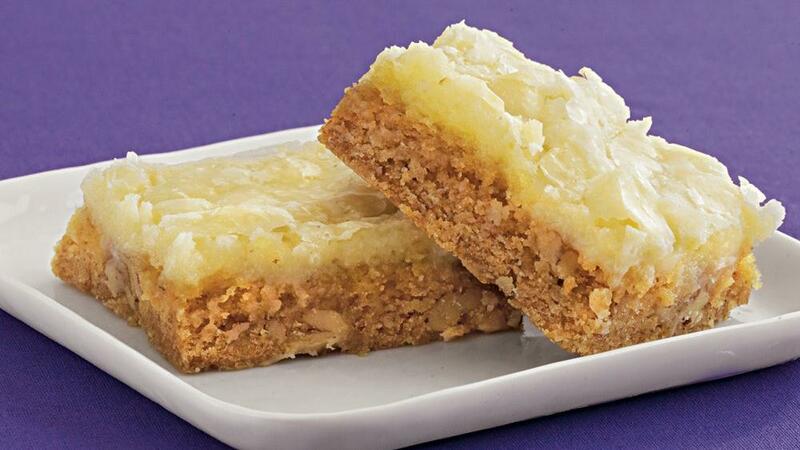 No comments for: "Cream Cheese Bars I Recipe"